Are you anxious or nervous whenever you have to go to the dentist? Do you have a bad gag reflex? Sleep dentistry may be right for you. According to WebMD, 9 to 20% of American adults avoid going to the dentist out of fear. Dr. Solomon understands that dental anxiety is a common phenomenon. Thus, he offers oral conscious sedation for his patients who may be weary of dental procedures. 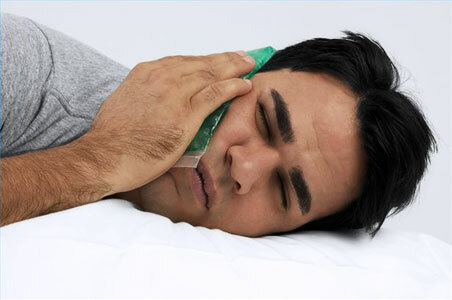 Sleep dentistry allows you to get dental work done without any pain, discomfort, or anxiety. It is also safer for the patient because it ensures that the patient will stay still throughout the entire procedure. With sleep dentistry, dentists are able to perform dental procedures and effectively take care of their patients’ oral health for those who might have otherwise been reluctant. The entire duration of your appointment will be a calm and comfortable experience. Dr. Solomon, known for his excellent bedside manner, will go the extra mile to ensure that you are at ease as well as answer any and all questions you may have. He will then give you an oral medication in the form of a small pill that will allow you to sleep through the whole procedure. Instead of an anxiety-ridden experience, you will wake up with a new smile and little or no memory of the dental procedure. This method of sedation is very safe. You will be at a minimally depressed level of consciousness, while still being able to breathe on your own. Your vitals including oxygenation, ventilation, circulation and temperature will be monitored while you are sedated to ensure your safety. Dr. Solomon is licensed by the State of California in Adult Oral Conscious Sedation and has extensive experience and training in this field. Dr. Solomon highly values the safety of his patients and wants to make visiting the dentist a pleasant experience. Call our office today at (310)475-5598 to inquire about our services or make an appointment now! Good dental hygiene is necessary to prevent periodontal disease, which can destroy bone and gums in the mouth and ultimately lead to tooth loss. But, did you know that periodontal (gum) disease is also linked to diabetes, cardiovascular disease, and obesity? The mouth is often overlooked as a door to the rest of your body. Thus, any ailments in your mouth can affect the rest of your body and vice versa. A study done by the National Institutes of Craniofacial and Dental Research demonstrated that those with type 2 diabetes are more likely to also have periodontal disease. Periodontal disease has been an established side effect of diabetes, but it now seems like there is a two-way connection. Periodontal disease leads to inflammation in the mouth and those inflammatory proteins can travel to the body. Consequently, chronic inflammation in the body can be harmful and affect blood sugar levels and the way your body responds to insulin. Many researchers also believe that there is a three-way connection between periodontal disease, diabetes, and obesity. There is also a suspected connection between periodontal disease and cardiovascular disease. A study from the American Heart Journal in 2007 showed that the incidence of coronary heart disease was increased in patients with periodontal disease. Researchers suspect that the inflammatory molecules present in the mouth spread to the rest of the body, which leads to inflammation and the build up of fatty plaques in the arteries. Researchers also believe that oral bacteria can travel to the body and increase the chances of blood clots in the arteries. Many researchers are currently studying the link between periodontal disease and various systemic problems. For example, researchers are trying to establish why women with gum disease are more likely to give birth prematurely. Overall, it is important to remember that the mouth is connected to the rest of the body and taking care of your teeth is very important for your overall health. Good dental hygiene at home as well as regular dental visits are necessary for maintaining a healthy smile. Are you due for a cleaning or check up? Do you have any concerns or questions? Call Dr. Sid Solomon at (310)475-5598 to make an appointment today! Based on his high number of successful cases, Dr. Solomon has been proudly recognized by Invisalign as one of Los Angeles’ premiere Invisalign providers. Invisalign is quickly growing in popularity as an alternative to braces for straightening teeth. It is great for patients of all ages- especially adults who are reluctant to wear braces, which can be obvious and embarrassing. Most people are only aware of the aesthetic advantages of straight teeth, but there are also many health benefits that are often overlooked. Straight teeth have fewer corners where food and bacteria can get stuck or where plaque can accumulate. Thus, brushing and flossing will be more effective and there will be a lower chance of tooth decay and gum disease. Additionally, misaligned teeth can cause an improper bite or misaligned jaw. In the long run, this can overstress the jaw muscles and cause TMJ problems. Invisalign straightens teeth “invisibly” using a series of clear, custom-made plastic aligners or molds for your teeth, which are changed every two weeks. The first mold will be of the original position of your teeth and the final mold will be the optimal, straight position of your teeth. There will be a series of molds in between the initial and final mold that will be worn to gradually straighten your teeth. Invisalign is great not only because the molds are clear and unnoticeable, but also because they are removable. Thus, Invisalign treatment does not interfere with normal brushing, flossing, eating, and drinking. Get on your way to a new smile today! Call (310)475-5598 to schedule an appointment or personal consultation with Dr. Solomon.